Publisher: Harmony Books, New York, 1985. First US edition. Condition: Hardcover, with dust jacket. Very small tears to top edge of dust jacket. Else fine. 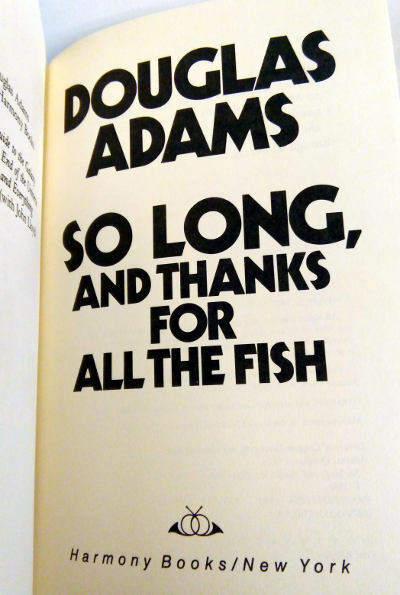 So Long, and Thanks for All the Fish is the fourth book of the Hitchhiker’s Guide to the Galaxy “trilogy” written by Douglas Adams. 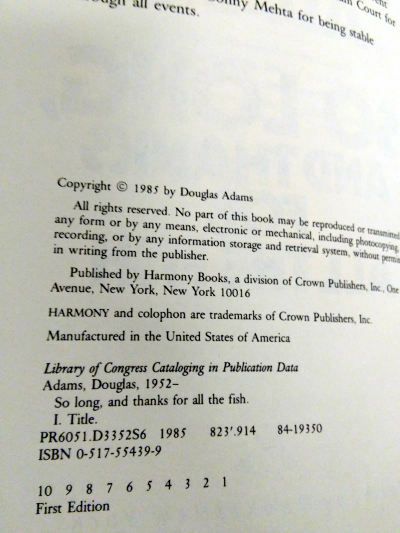 Its title is the message left by the dolphins when they departed Planet Earth just before it was demolished to make way for a hyperspace bypass, as described in The Hitchhiker’s Guide to the Galaxy. 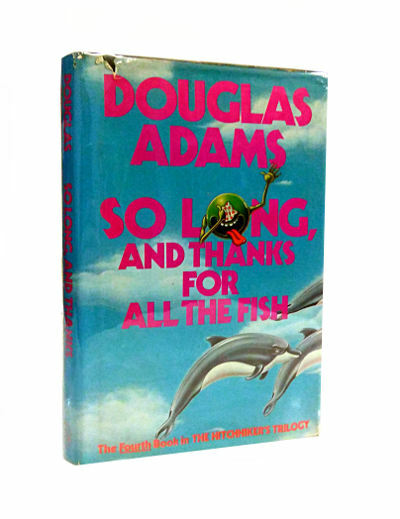 The phrase has since been adopted by some science fiction fans as a humorous way to say “goodbye” and a song of the same name was featured in the 2005 film adaptation of The Hitchhiker’s Guide to the Galaxy.